This is the newest version of my once beloved “Relaxed & Natural” conditioner, which had been my go to conditioner until they added salt to it a while back. 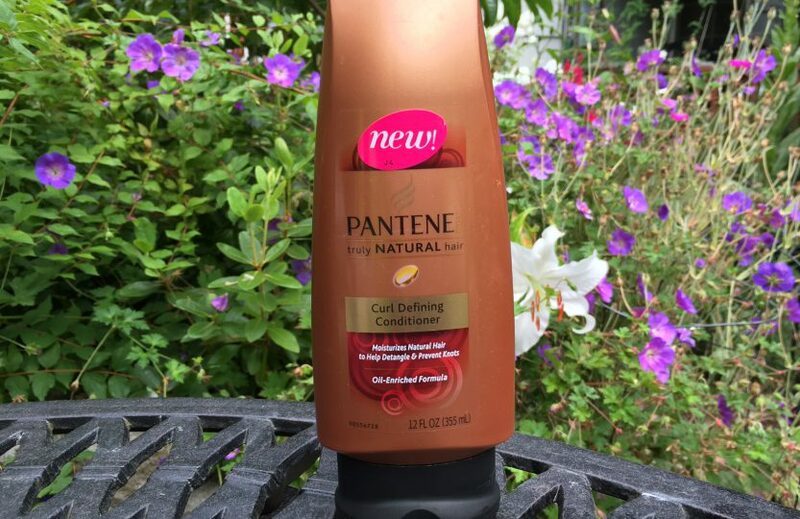 Pantene has has several versions of the relaxed/natural theme, and this one seems to be the newest one (luckily, no salt in it…yet). The ingredients are similar to the previous version, which was called “Truly Natural Hair Deep Conditioner”, with the addition of dicetyldimonium chloride (used for conditioning and smoothing, and also to keep the product from separating), and histidine (an amino acid). Both of these were added in after fragrance, so are minor players in the products anyway. This is my newest “go to” conditioner, which means it’s one of the conditioners I measure other conditioners against, and if I’ve tried out a new conditioner that wasn’t great, this is one of the conditioners I always go back to to get my hair the way I like it again. It acts basically as I remember the previous conditioner working, with a nice slipperiness and good weight for natural curls. This is also one of the conditioners in my regular rotation. I like to have about three good conditioners, and each week I use a different “go to” if I’m not trying out anything new. I like to rotate them because I always feel like my hair feels just a little glossier when I switch products each week. 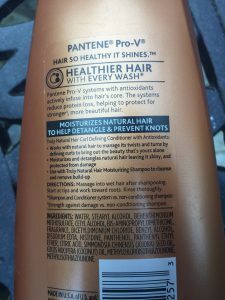 Strangely, I can’t seem to find any of the relaxed/natural versions of Pantene in the Seattle area stores that I go to, so I have to load up on bottles when I go visit my mom in Louisville. Of course my suitcase was over 50 pounds with all the conditioners I was trying to bring back.